I made this one up based on a salad my great aunt used to make in layers. I added the Quinoa for extra volume and texture and this is what came out. Great side dish with schnitzels or it can be eaten as a main dish as well. Cut the broccoli into small florets and soak in salt water for 10 minutes. In the meantime heat up water in a pot and when it starts boiling add the drained broccoli and cook for 5 minutes. Then drain and let cool. 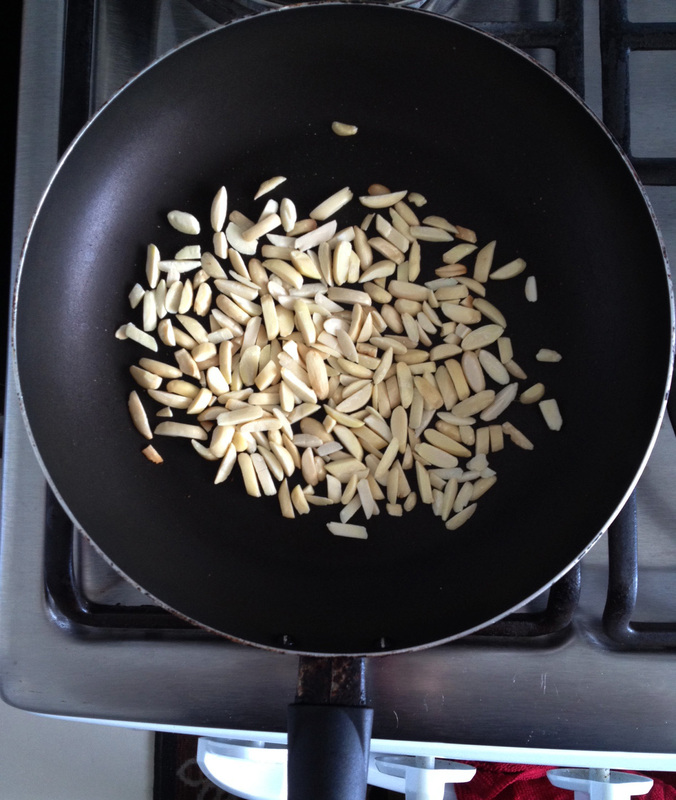 In a separate pan, toast the almonds for around 2 minutes, stirring constantly so they don’t burn, then set aside in a bowl. In that same pan cook the chopped beef fry and it will release its own oil. Cook until its crispy. Turn off. Chop the dates in small pieces. 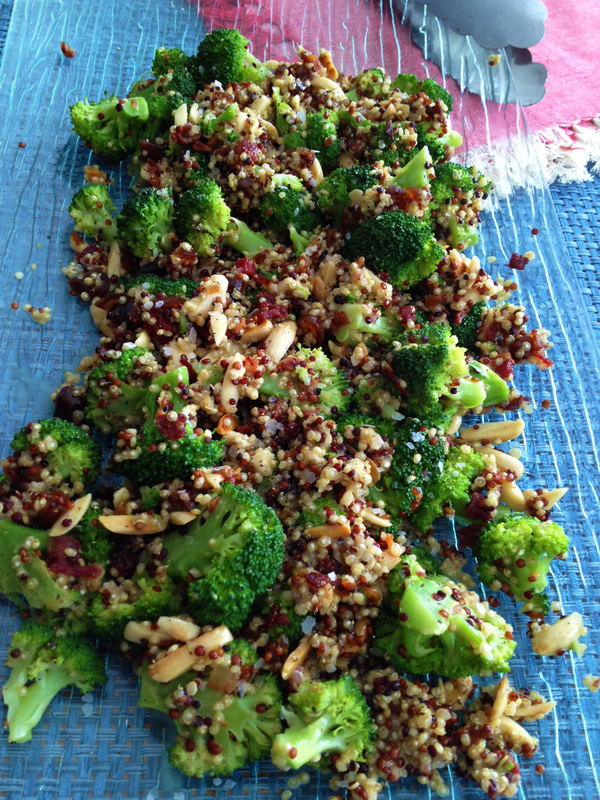 Cook the quinoa in 1 cup of water, add a pinch of salt, cover and lower flame. Cook until water evaporates and the quinoa shows the white ring in the outer part. 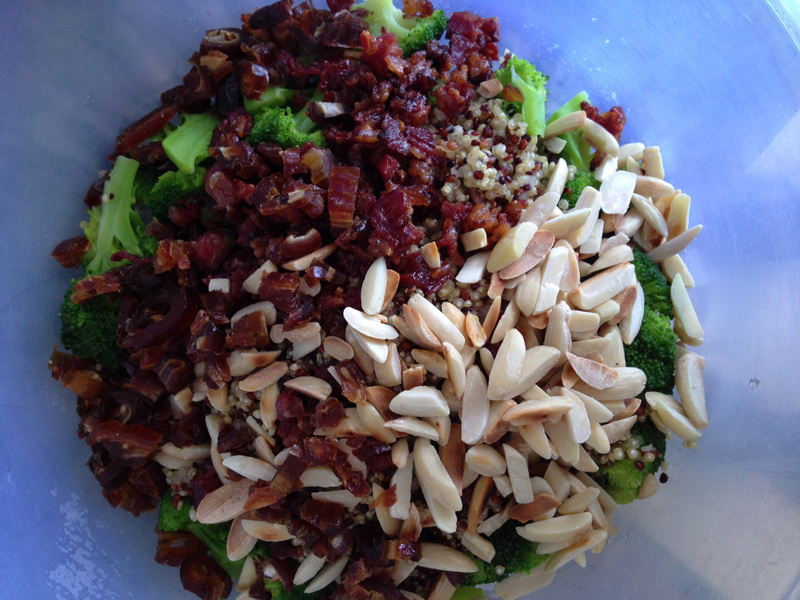 Once all ingredients have cooled down, mix all together in a bowl and add the dressing. Invente esta receta basada en una ensalada que hacia mi tía en capas. Le agregue quínoa para darle volumen y textura extra y esto es lo que salió. Es buenísima para acompañar schnitzels (milanesas de pollo) o como plato fuerte también. Corta el brócoli en piezas pequeñas y lávalos en agua con sal por 10 minutos. Mientras tanto, hierve agua en una olla, agrega el brócoli y cocínalo por 5 minutos. Cuélalo y déjalo enfriar. Pica los dátiles en pedazos pequeños. Mezcla los ingredientes del aderezo en un bowl. Cocina la Quínoa en 1 taza de agua, agrega una pizca de sal, tapa la olla y baja el fuego. Cocinar hasta que el agua se evapore y aparezca el anillo blanco en la parte exterior de la quínoa. Una vez que todos los ingredientes se hayan enfriado, mézclalos y agrégale el aderezo y mezcla bien para que estén cubiertos uniformemente .